Quickly and robustly identify files with duplicate content. Preview items and, if you’re sure you no longer need them, send to Trash or move to another location preserving their folder hierarchy. Straightforward results – view all scanned items, items with duplicates, first or other occurrences of each duplicated item, or items without duplicates. Highly optimized scanning of single or multiple folder trees, even with hundreds of thousands of items. Optionally restrict scanning to particular file types (e.g. .wav, .mp3, etc.). Work with network shares, as well as internal and external drives. 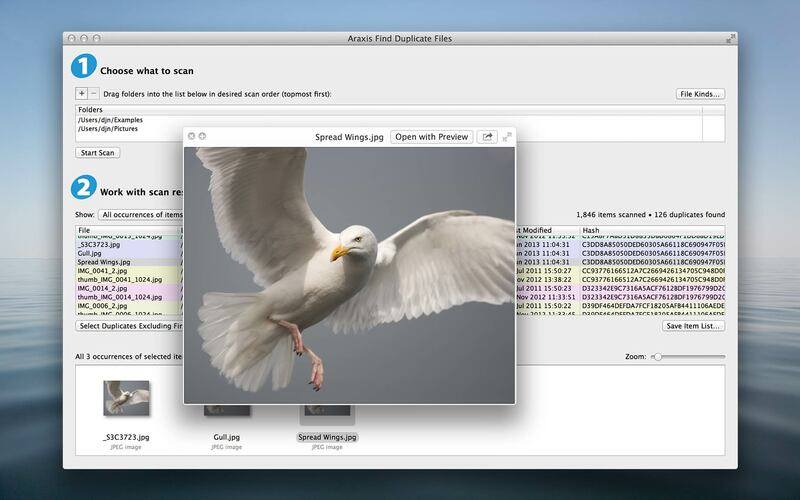 Scan multiple folders in one go. Built-in preview of selected items and their duplicates. Preview files with Quick Look. 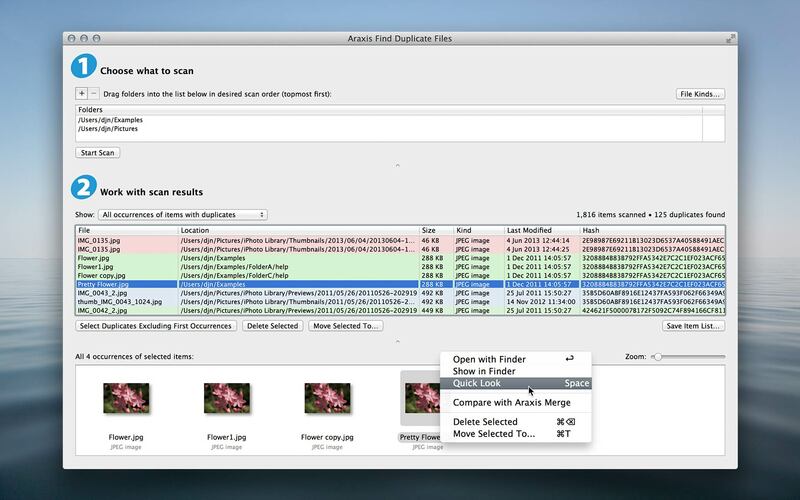 Show or open files with Finder. Supports Retina displays, OS X fullscreen mode and resume. Last resort ‘Put Back’ capability for moved items. Save scan results to a text file. Comprehensive online help. Fully supported by real human beings – contact us for help.